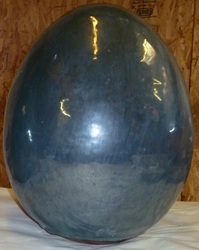 Auto-fill also available upon request, inverted box for electrical under also available upon request. 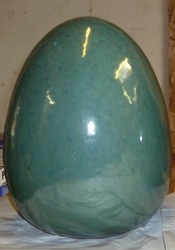 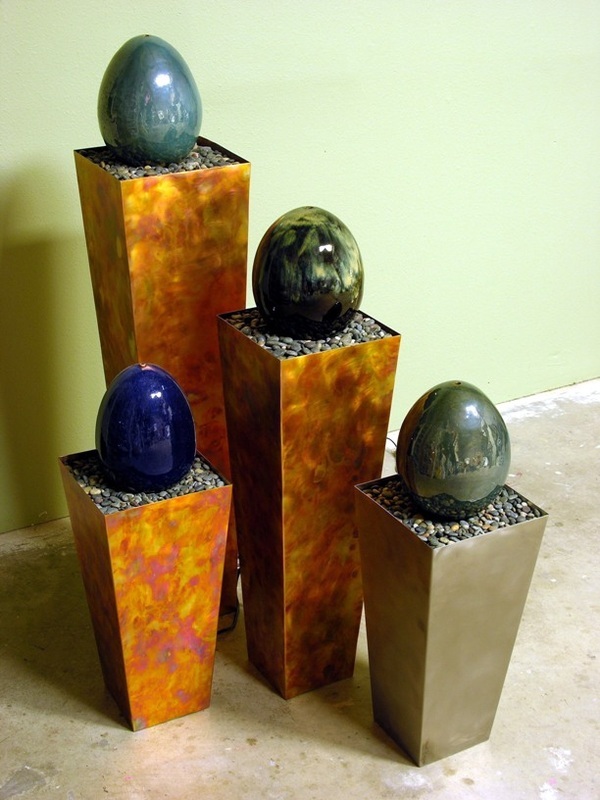 Green or blue ceramic eggs rest atop flamed copper or stainless steel basin. Small beach pebbles line the top of the basin.